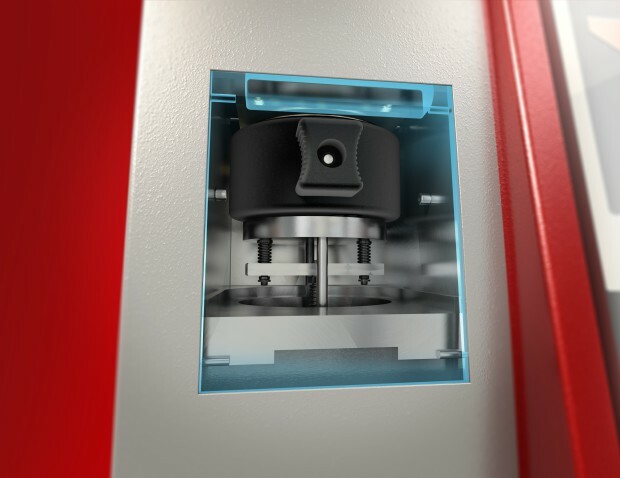 The ERAFLASH flash point tester series uses the continuously closed cup flash point standards ASTM D6450 and ASTM D7094. A round robin test by ASTM showed no statistical bias, proving that ASTM D7094 and the D93 Pensky Martens method are interchangeable. Since 2013 ASTM D7094 has been accepted in ASTM fuel specifications. 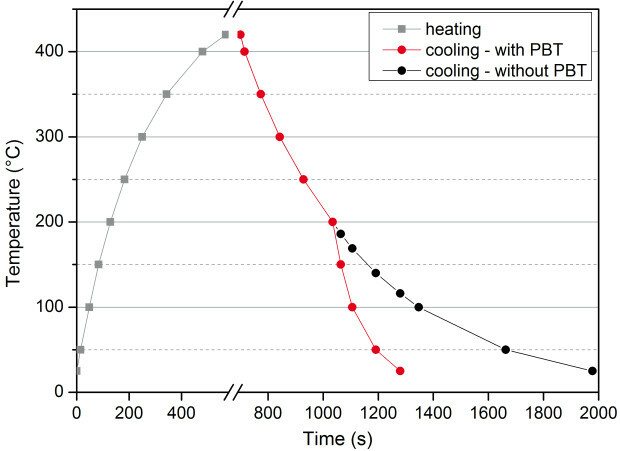 Additionally it was shown, that the repeatability and reproducibility of ASTM D93 for modern complex fuels is up to 50 % higher than stated in the method itself. For even more measurement comfort eralytics’ flash point testers offer a quality control (QC) mode right on the instrument. To perform efficient quality control, the user can set individual warning levels to each QC sample. If a sample is measured and the results fall outside these limits a warning is automatically displayed. Additionally, QC charts are available to easily identify long term drifts and perform statistical evaluations of results. In contrast to Pensky Martens instruments the ERAFLASH flash point tester series does not use an open flame. 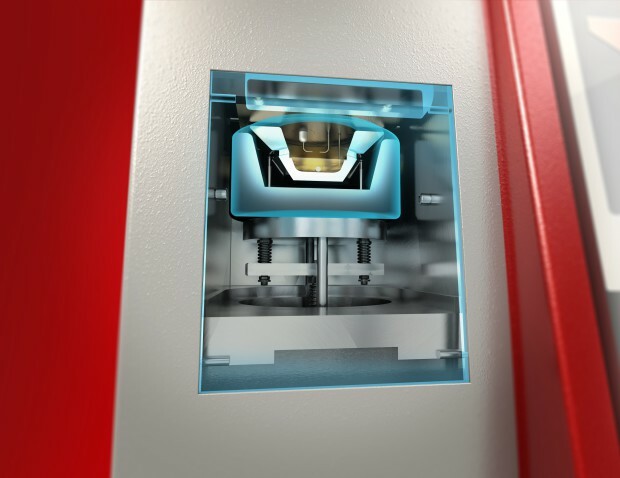 Instead, 2 pins create an electric arc that is used to ignite the sample inside a closed chamber. Due to the small sample volume (1 ml or 2 ml) and the resulting low oxygen amount within the closed cup, the flame is automatically extinguished after ignition. The pressure increase in the closed cup following the ignition is used for the detection of the flash point. A pressure increase of ≥ 20 kPa is defined as a flash point by the method. ASTM D6450 and D7094 are inherently safe flash point methods eliminating any fire hazard from your lab. 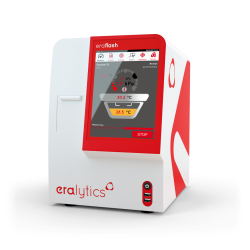 The ERAFLASH flash point tester utilizes the patented Peltier Boost Technology™ (PBT) to significantly increase heating and cooling rates. 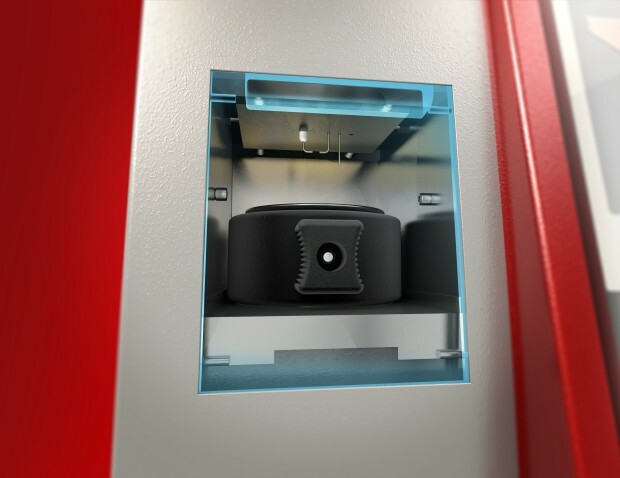 With a sophisticated mechanism the Peltier elements are safeguarded from high temperatures during heat up and allows their use during cool down even at temperatures that would normally harm them. 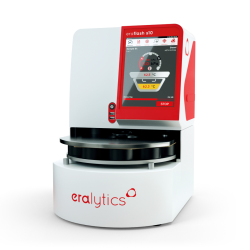 This eralytics’ innovation maximizes sample throughput by shortening the turnaround time of ERAFLASH. Additionally PBT enables the ERAFLASH flash point tester series to cover a temperature range of -25 °C to 420 °C within a single instrument. The new ERAFLASH LT flash point tester was designed for faster flash point measurements at low temperatures. With its stacked Peltier design it reaches oven temperatures as low as -40 °C.